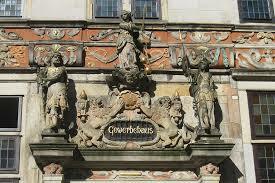 Bremen known as the second most populous town in North Germany. Bremen brings the high-tech, science and space industries together with a beneath a truly metropolitan backdrop. The city is sometimes associated with four animals riding piggyback – the characters from the Brother’s Grimm fairy tale “The Bremen Town Musicians”, and their bronze statue on Bremen’s main square is one of the city’s most photographed attractions. But Bremen, stretched on both sides of the river Weser, offers much more: The city, once a member of the medieval Hanseatic League, is home to a unique street built completely in inspired Art Nouveau style, a medieval quarter, and the Bremen Town Hall, one of the most amazing of Brick Gothic architecture in Europe. In a city where innovation, beauty and sophistication meet. Get close and personal of 1,200-year-old Hanseatic city, visit the Schlachte Promenade on the River Weser, the full-sized Columbus Space Module of the International Space Station and the Universum Science Center.